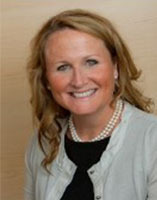 Dr. McCartney received her BSN from Georgetown University in 2003 and then started her career in the Surgical/Trauma Intensive Care Unit at Jersey Shore University Medical Center. In 2010 she received her Master's Degree in Nurse Anesthesia from Rutger's University and continued her career at Jersey Shore University Medical Center as a CRNA. 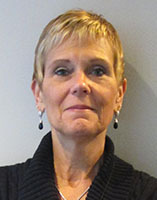 She competed her Doctorate in Nursing Practice at Rutgers University in May of 2014 and has since started as full time faculty in the Rutgers Nurse Anesthesia Program while maintaining clinical practice as a CRNA at JSUMC..
Jonathan Katz received his Associates degree in nursing from Trinitas School of Nursing, Union County College in 2009 with high honors. After obtaining his RN license, he worked as a Critical Care registered nurse at Trinitas Regional Medical Center until 2013. During this time, Jonathan completed his Bachelors of Science in Nursing from College of St. Elizabeth with high honors, and achieved his CCRN certification. As a registered nurse, Jonathan was recognized with multiple awards including the Daisy Award for his exemplary care as a Critical Care registered nurse, and the Academic Student Leader in Nursing Award from the College of St. Elizabeth. Jonathan graduated as the valedictorian from Our Lady of Lourdes Nurse Anesthesia Program and was recognized with the Outstanding Student Award from Drexel University. Currently, Jonathan works full-time as a CRNA within the tri-state area. Jonathan has been an active participant with NJANA since November 2013 and enjoys everything the nursing anesthesia profession has to offer. Orlando received his Associates Degree in Nursing from Raritan Valley Community College in 1998 after pursuing Biology at Temple University in Philadelphia. 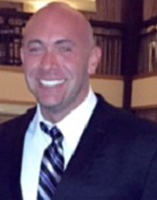 While working in both a Cardiothoracic SICU, at Newark Beth Israel, and Trauma, at Robert Wood Johnson University Hospital in New Brunswick, he graduated with his BSN from Kean University in 2001. His Master’s of Science in Nurse Anesthesia was earned from New York’s Columbia University in 2005. Orlando completed his Doctorate in Nurse Anesthesia Practice at Virginia Commonwealth University, where his major interests were in anesthesia simulation, patient safety and completion education programs for nurse anesthetists. Currently, he is a MBA candidate at Rutgers Business School concentrating in Finance and Strategy. He was Chief CRNA at RUTGERS Medical school for nine years and now full-time staff for a private practice anesthesia group. Orlando has been active in the NJANA since 2015 and hopes to continue addressing the needs of New Jersey CRNAs as a member of the NJANA. Mrs. Winner received her BSN from Villanova University in 1996 and upon graduation practiced as a bedside nurse in the Medical Respiratory Intensive Care Unit at Thomas Jefferson University Hospital. During that time, she also worked as a research coordinator in the Pulmonary/Critical Care division. Mrs. Winner received her Master’s Degree in Nursing from Temple University and a certificate in Nurse Anesthesia from the Pennsylvania Hospital School of Nurse Anesthesia in 2004. She has also completed a post master’s certificate from the Teacher Education Program at the University of Pennsylvania, School of Nursing. She is now enrolled in the PhD program in the School of Nursing at the University of Pennsylvania. Mrs. Winner has been engaged in teaching the Nurse Anesthesia profession since 2006 both clinically and didactically for the Nurse Anesthesia program at Penn. She is a section editor for the International Student Journal of Nurse Anesthesia and an item writer for the NBCRNA Continued Professional Certification Program. Heather Borbely served in the US Navy as a corpsman in the ICU prior to attending Nursing School and receiving her BS in Nursing at Felician College. She graduated Thomas Jefferson University Anesthesia program in 2015 and has been working at Monmouth Medical Center and St. Mary’s Hospital since graduation. Karen Chmielewski graduated from Nazareth Hospital School for Nurse Anesthesia in 1982 and has worked as a staff nurse anesthetist for the past 31 years. She is currently on the staff at Deborah Heart and Lung Center and Virtua Mt. Holly. Karen has held leadership roles in many local organizations and has experience running a family restaurant business which she co owned with her husband George. Married for 33 years, Karen lives in Burlington Twp. Dr. Pallaria is a 2013 graduate of the Doctor of Nursing Practice program at Rutgers University (formerly UMDNJ). In addition to his DNP from Rutgers, Dr. Pallaria earned a master’s in anesthesia at Columbia University in 2000, a bachelor’s degree in nursing from Farleigh Dickinson University in 1995, and a bachelor of science degree (with a dual major in business and psychology) from the University of Pittsburgh in 1989. Dr. Pallaria was co-founder of the UMDNJ Nurse Anesthesia Program in 2004; he served there until the merger with Rutgers, and now serves as the Program Director and Assistant Professor. Dr. Pallaria has extensive clinical experience and a record of clinical innovation as well as valuable hospital partnerships. He became the Chief CRNA at Newark Beth Israel Medical Center in 2011 and then introduced CRNA practice 4 years later at Saint Barnabas Medical Center. He has most recently taken on the role of Regional Chief CRNA for his private practice group, managing CRNA practice at 3 major medical centers. As a lecturer for the RWJ Barnabas Perioperative Health Division, Dr. Pallaria delivers bimonthly lectures to the perioperative nursing staff and the OB/GYN residents. He has published on a yearly basis, and was the recipient of the 2016 NJANA Trident award for excellence in academics, clinical practice and professional advocacy.